You’ve got a leisure vehicle. Why not use it? Whatever the time of year. For many caravan and motorhome owners, especially those with extra time on their hands over the winter months, taking off to warmer climes for an extended period has its obvious attractions. Most head south for the winter for one thing – sun. To be more accurate – warmth. And, just as importantly, happy times. Although skiing features highly as an activity for anyone travelling abroad in their caravan or motorhome at this time of year, for the majority it’s more about escaping the UK’s perennial winter blues in favour of soaking up a bit of guaranteed sunny weather (and saving on domestic heating bills). Other advantages of winter touring abroad include the great value that can be had staying at quality campsites off-season. Indeed, many folk reckon spending the winter months away like these can be less expensive than being at home. 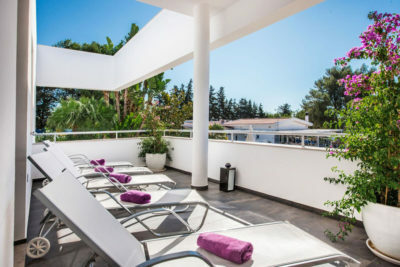 Spain and Portugal are particular favourites for winter sun seekers, with both countries offering plenty of choice of camping facilities – from commercial sites with top-class facilities, to aires (areas de servicio in Spain), to beachside settings. Both of our UK Clubs organise winter rallies in these countries – using volunteer stewards to welcome visitors and provide handy advice. The Mediterranean coast from the Costa del Azahar (the Orange Blossom coast) round to the Costa del Sol, plus Costa Blanca and Costa de Almeria are particularly popular Spanish winter locations. For Portugal, it’s the Algarve, right down in the south. Favoured on-site facilities include restaurants and entertainment, with wellness centres – offering anything from spas to personal trainers – proving increasingly popular. Getting to your final destination(s) inevitably means a ferry crossing. For Spain, for example, there are ferries going direct to the northern coast – these tend to be favoured by those who are happy taking longer-haul sailings. It’s a 24-hour sailing from Portsmouth to Santander or Bilbao, with Brittany Ferries the main operator. Others might prefer to meander down via a series of stop-offs in France. 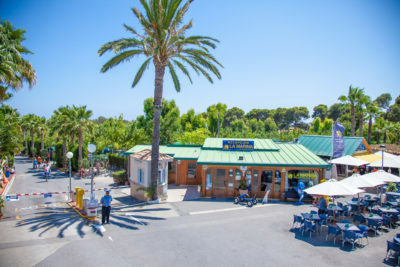 As a rough guide, it’s some 850 miles from the port of Calais to Vilanova Park, a popular campsite near Barcelona. Will you be insured if you’re touring abroad long-term? Is there a danger you’ll exceed your predicted annual mileage? What else are you covered for when abroad? 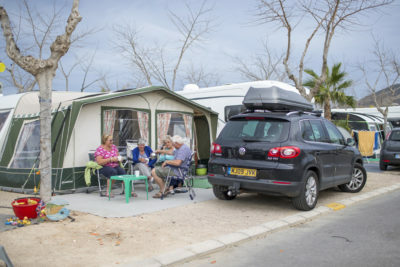 Remember, here at Caravan Guard you can always take optional European cover of up to 240 days per annum on touring caravan insurance or 270 days on motorhomes. Plus our motorhome breakdown cover can be extended to Europe for an extra premium – giving you that extra peace of mind when travelling abroad. Our caravan insurance also includes recovery and repatriation if the caravan is damaged and can’t be towed, and we offer emergency accommodation from up to £100 a day for 30 days so you can continue on your holiday. Make sure you’re fit to travel yourselves. It’s worth fixing up an appointment for a check-up with your doctor before heading away for a long period. Check your home insurance if you’re likely to be away for a month or more. You might even want someone to “house-sit” for you in your absence. Consider fitting a safe in your vehicle, for peace of mind storing key documentation etc. Check things like passport expiry dates etc, so you’re not caught short whilst away. Take full gas cylinders. Calor isn’t available on mainland Europe. Consider alternatives. As with any international trip, make yourself aware of traffic regulations for any country you’re travelling in. 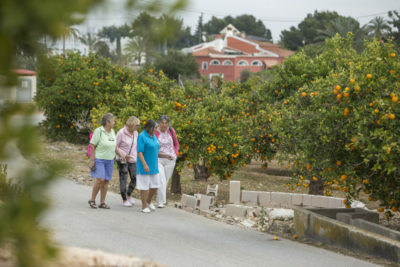 On southern Spain’s Costa Blanca and right next door to world heritage site city Elche. 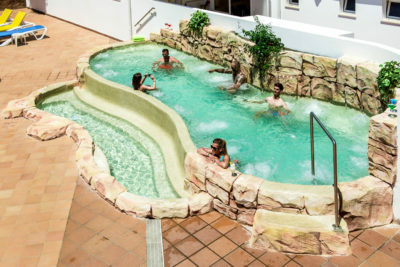 On-site facilities range from an extensive pool complex (with waterfalls, jacuzzis and more), to sauna and massages, to a supermarket. There’s a restaurant, plus pizzeria, take-aways, cocktail bar and two terraces – plus a three-floor Wellness Centre. There’s even a “business centre” here, with office equipment, internet etc. Typical pitches are hedged, with 10amp mains electrics, and some have shade, too. Top-level Azul pitches are over 80m2 and come with their own fresh water supply and waste facilities. One big local attraction is the national marine reserve of Tabarca Island, near La Marina village. Portugal’s Algarve is always popular with winter sun seekers, offering great value for long-stayers. It’s also reckoned to be Western Europe’s warmest winter spot. 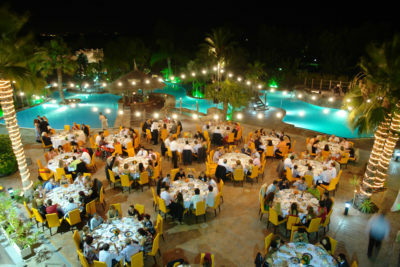 Near the city of Lagos (three miles off), Turiscampo has over 200 pitches, many terraced, and amenities including a restaurant and bar overlooking the swimming pool complex, disabled facilities, three toilet/shower blocks and more. There are three levels of pitches, all with 6amp mains electricity, with top three-star offerings extending to fresh water and overall dimensions over 80m2. Turiscampo is some 12 miles from Cabo de San Vicente, Europe’s most westerly point. And just one and a half miles to the nearest beach, Praia da Luz. Leading Campings is a group of high end campsites with 39 top campsites in 12 countries. 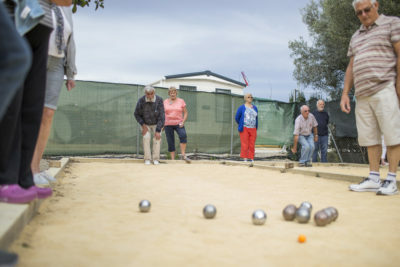 Other operators include Alan Rogers and Huttopia, plus – for France – Castels et Camping and C’est si Bon. Got any advice on heading for the winter sun touring to pass on to others? Feel free to add your comments below. Campsites on the continent do vary in terms of electricity supply but for an extra charge it can often be provided. It’s generally a good idea to contact the site when making a booking to see if they can meet your specific needs.